Lots of acoustic/solo stuff coming up this month, plus a couple of dates with Mic. 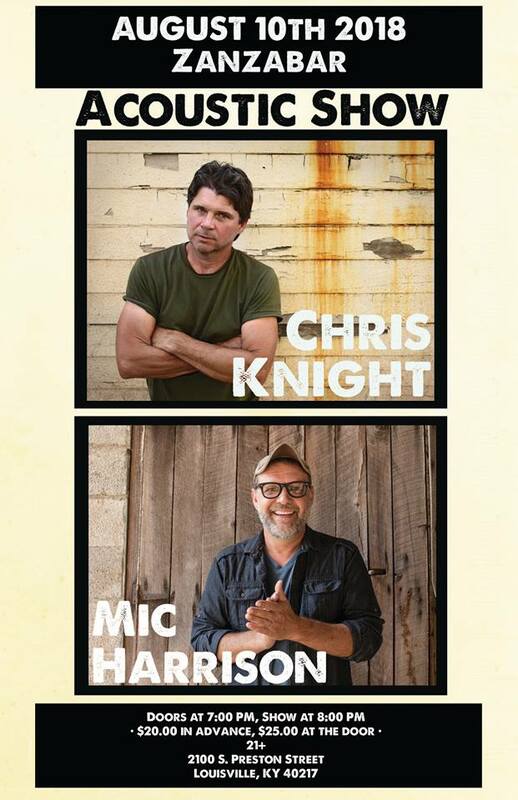 Thursday the 9th I’ll be doing a “Songwriters-in-tha-Round” set with Andy Pirkle and Michael Roberts at The Shed down in Maryville opening for Chris Knight. 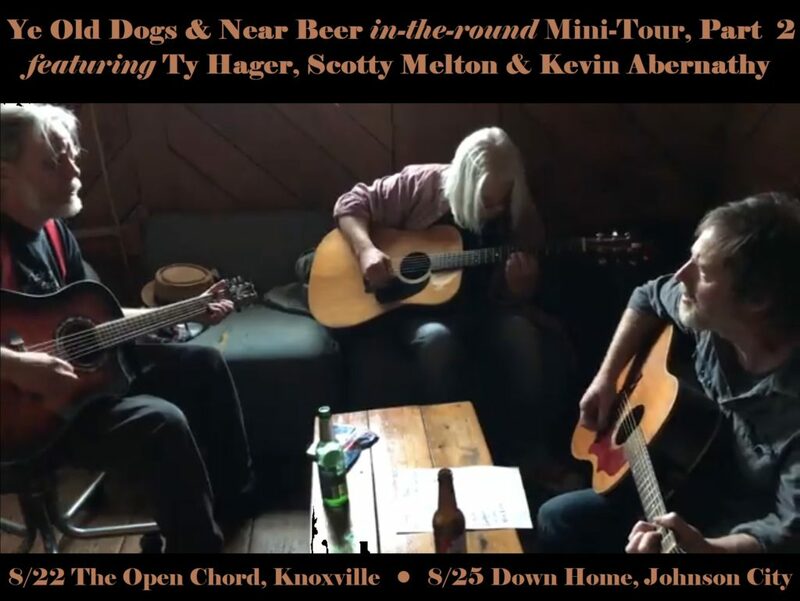 The next night I’ll be picking and singing with Mic Harrison as we open for Chris again at Zanzabar in Louisville, KY.
Mid-month, Ty Hager, Scotty Melton and I get back together for “Ye Old Dogs & Near Beer in-the-round Mini-Tour, Part 2.” We’ll be here in Knoxville at The Open Chord on Wednesday the 22nd, then Saturday the 25th we return to the Down Home in Johnson City. I’ll end the month back here at home at Boyd’s Jig & Reel for Mic Harrison And The High Score Happy Hour, Round IV. Round II of the Mic Harrison And The High Score Happy Hour is coming up on the 13th at the Jig & Reel. We had a blast last month so make sure to join us for this one. 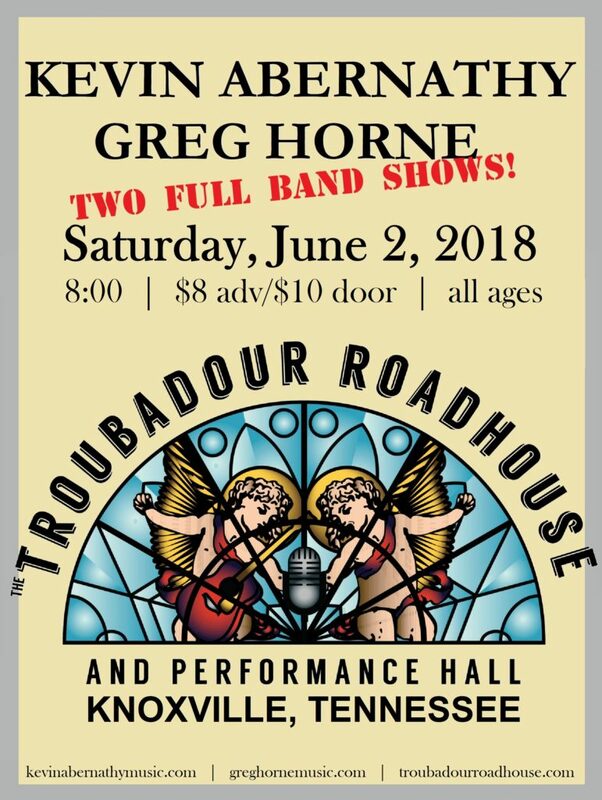 Saturday the 2nd Greg Horne and I will be rockin’ the Troubadour Roadhouse at 8:00 (yes, 8:00!). 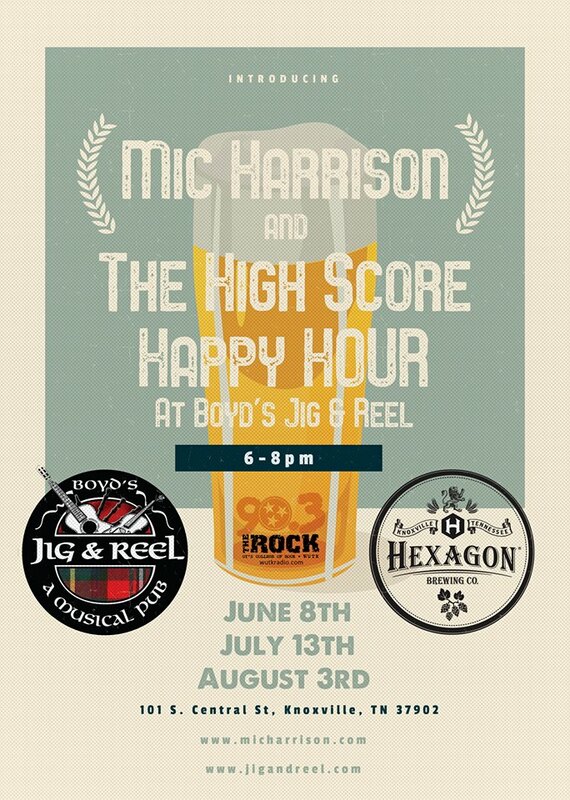 Friday the 8th I’ll be playing the first of three Happy Hour shows at Boyd’s Jig & Reel with Mic Harrison And The High Score. These shows are free and start at 6:00. 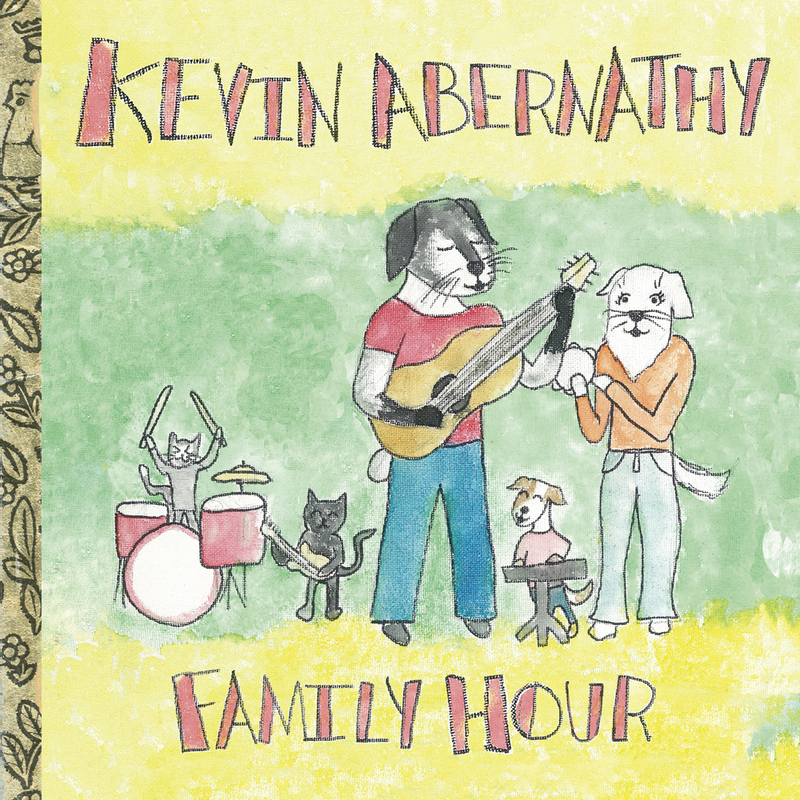 Check the Shows page for the other Happy Hour dates. 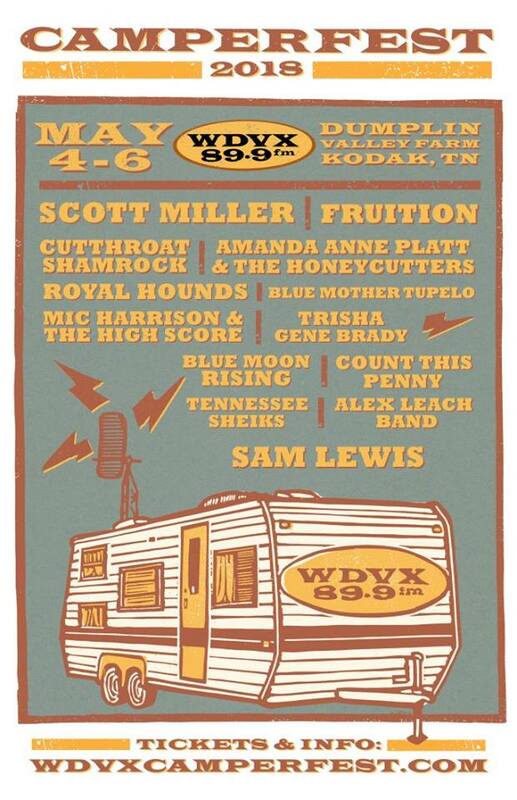 Thursday the 14th I’ll be playing guitar with Brian Waldschlager on the WDVX Six O’Clock Swerve. Keep an eye out for one more possible June show that we’re trying to confirm. Also… hoping to get back into the studio mid-month! Stay tuned! On Saturday the 5th I’ll be playing Camperfest in Kodak again, but this year I’ll be performing with Mic Harrison And The High Score. Another killer line-up this year, which also includes Mic’s old V-roys band mate, Scott Miller. I can’t confirm or deny… but if you’re betting on the Kentucky Derby, I’d also lay good odds that these two will end up on stage together at some point during the day. 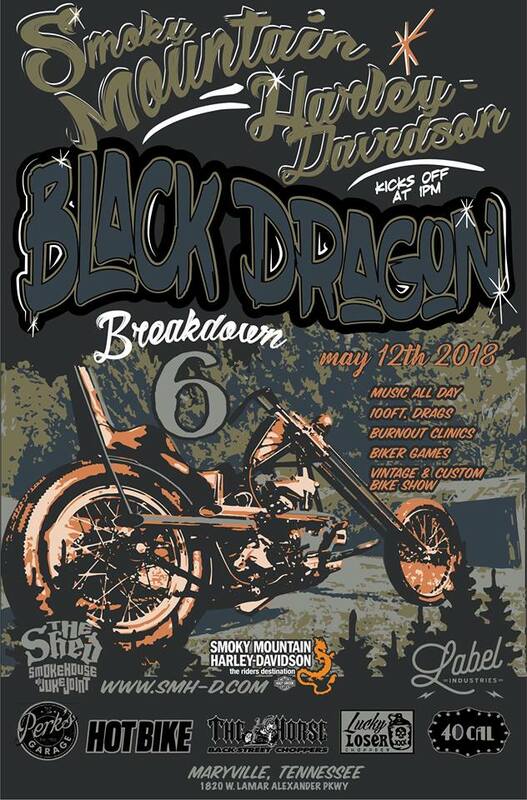 The following Saturday, the 12th, my band and I will be playing The Black Dragon Breakdown at The Shed in Maryville. Join us at Smoky Mountain Harley-Davidson for 100 foot drags, burnout clinics, biker games, the best custom and vintage bike show of the year, AND FREE MUSIC ALL DAY from The Barstool Romeos, Andrew Leahey And The Homestead, Handsome And The Humbles, and more! 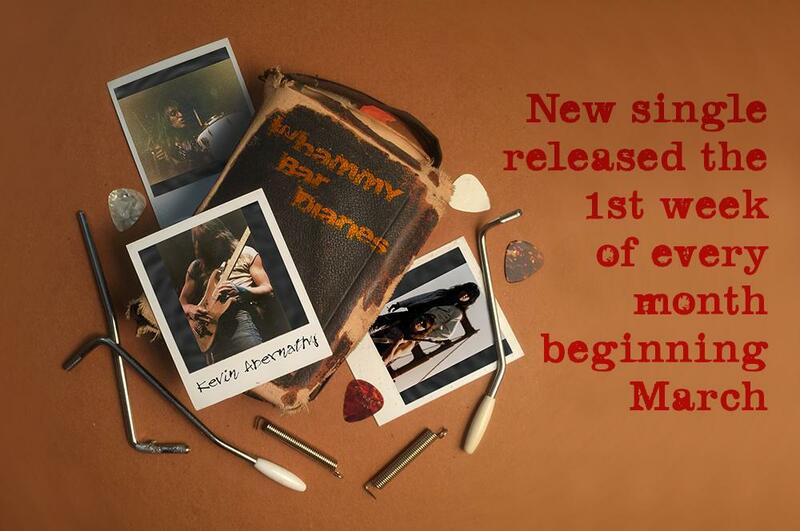 Please visit the Shows page for more details. Several gigs this month playing guitar with Mic Harrison And The High Score starting Thursday the 8th in Maryville at Behind The Barn. 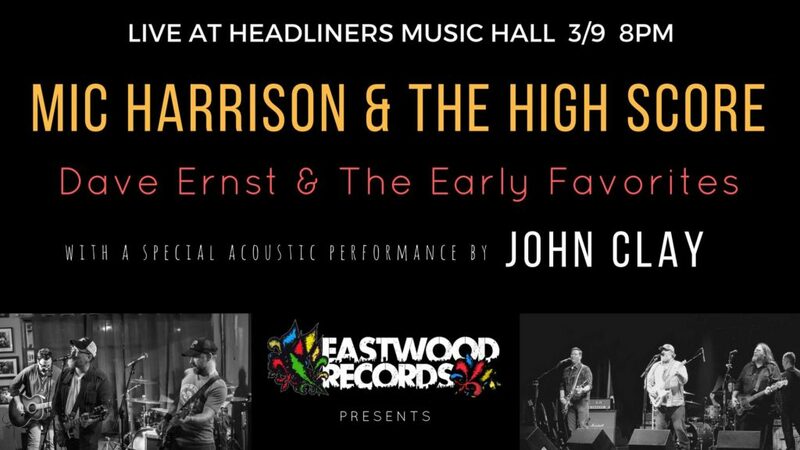 The next day we’ll be up in Louisville, Kentucky playing WFPK’s Live Lunch at noon, followed by a show later that night at Headliners Music Hall with Dave Ernst + The Early Favorites and John Clay. Spread the word! 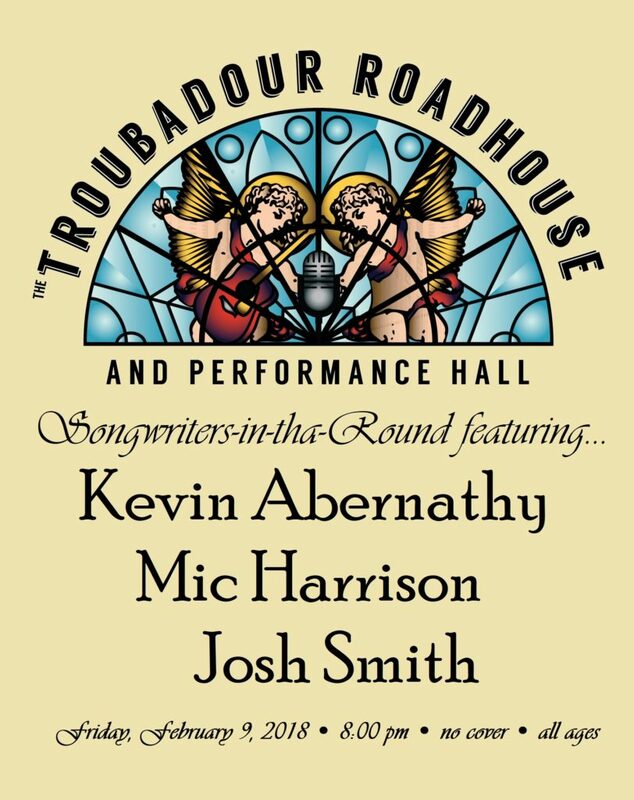 Mic, Josh and I will be acousti-rawkin’ the Troubadour Roadhouse & Performance Hall Friday night with a songwriters-in-tha-round show. Come check out the new venue while we sing ya some songs. WayneStock 8 starts this weekend at the Relix Variety Theatre. Friday night I’ll be playing guitar with Brian Waldschlager, Saturday night I’ll be participating in the Tom Petty Tribute at the end of the night. Hope you’ve made plans to come out and support the event. Saturday the 10th I’ll be up in Bristol playing in-the-round with old pals Mic Harrison and Josh Smith, plus Steve Dedman from Plywood Cowboy. This’ll be my first time playing at the Bloom Cafe & Listening Room so we look forward to seeing some old and new friends in the tri-cities.